ICSE 10th Date Sheet 2019 Now Available! The Council for the Indian School Certificate Examination (CISCE) has released the timetable for the 10 class examination. Students who are going to appear in the said examination can download their date sheet now! The exam will be starting from 22 February 2019 (Friday) and the last exam is on 25 March 2019 (Monday). The exam is about to start only two months are left for the examination. So students are advised to boost up their exam preparation and prepare for the exam according to the ICSE 10th Date Sheet 2019. The date sheet is available on this page. In addition, we have also provided the direct link through which you will able download the timetable in PDF format. 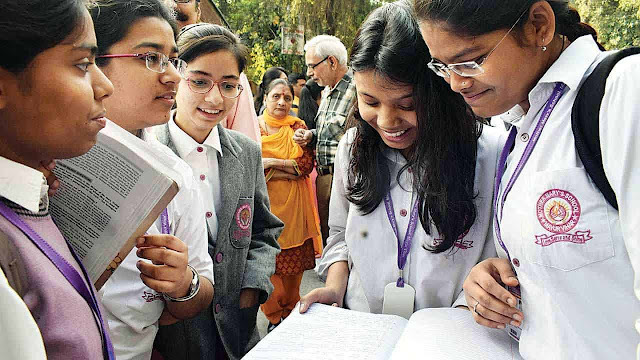 After reaching to the home page go to the Notice Board section and hit on the “Time Table of ICSE Year 2019 Examination” link. 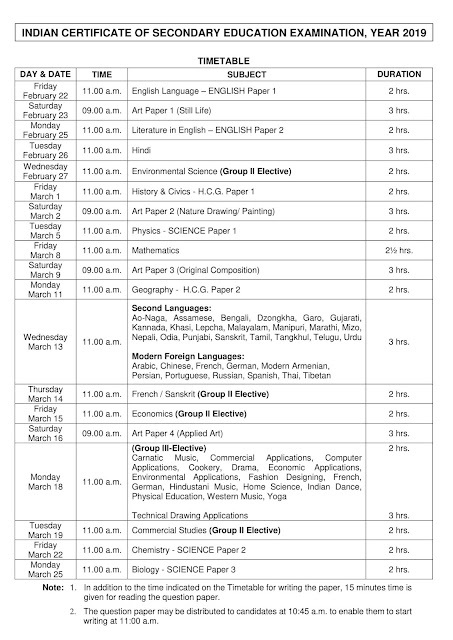 ICSE 10th Date Sheet 2019 will be opened in the PDF format. Check the date sheet and take a print out of the same for the examination purpose.